We haven’t even gotten to the border, and nostalgia is already welling up in my gut. I look down the final slope of the I-5 as it merges with the I-805 and pours traffic onto the line that divides (and unites) the U.S. and Mexico. Tijuana and San Diego: more people cross this land border than anywhere else in the world—between 75,000 and 300,000 drivers and pedestrians a day, depending on who you ask. I glance up from my window as we make the final turn, and see an enormous flag gently waving at me. I’m home. I disliked Tijuana for reasons people might not expect. I never really experienced any crime or danger; there was no drug-dealing, or gang-banging, or prostitution in my sheltered middle/upper class neighborhood. I hated it here because Tijuana belonged to nobody, and it showed. Nearly everyone in Tijuana had either just arrived from, or was about to leave for, somewhere else. There was crime and poverty and inequality—there still is—and many of the people in power didn't care too much; many still don't. But compounding all of this was the fact that relatively few people were “from Tijuana,” and perhaps even fewer wanted to be from Tijuana. The saying used to go: "the best part of Tijuana is San Diego." People were ashamed of this town. Throughout the nineties and early 2000s, there were of course many exceptions to this trend. Local environmental groups started sprouting up in the early 90s, along with a slow-and-steady cultural revolution. Musicians, artists, and entrepreneurs have always existed in Tijuana, and have fought hard to make it a better place. But many of them were constantly swimming against a very powerful current of negligence, apathy, and downright disdain for this city, both within the halls of power and without. Then, in the late 2000s, something started happening. I don't pretend to know the whole story, but a confluence of factors conspired against Tijuana—and in its favor. 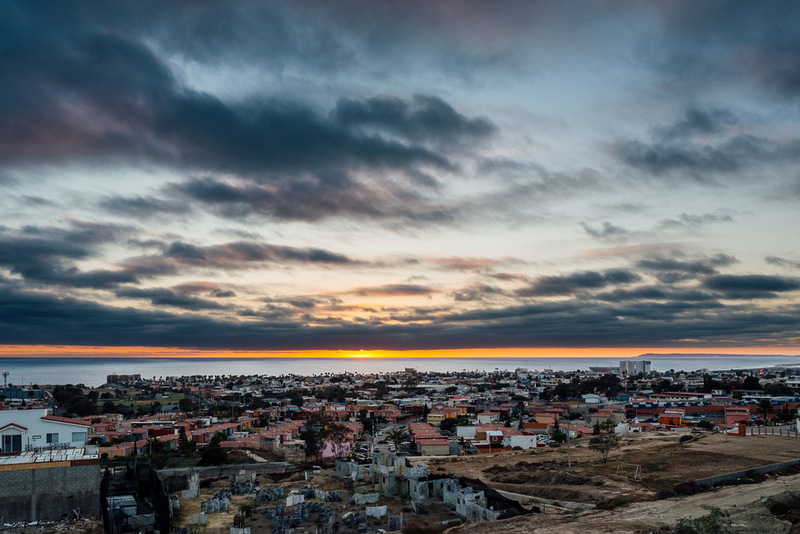 Between 2008 and 2010, Tijuana's old patterns of power and prestige came under siege from several directions: the global financial crisis of 2008, drug-related turf wars, and the H1N1 swine-flu "epidemic, " among others. Tourism to Tijuana dried up almost completely, and nearly over night. Investors started leaving; businesses shut down. But it was also at that time that a young, energetic, and passionate generation of Tijuanenses came of age; people like me who had grown up here feeling that Tijuana could be more if someone tried, if someone cared. Now they had their chance, and they took it: entrepreneurs, artists, and investors started rebuilding this city—their city. Tijuana has come a long way since then. But the surprise with which friends and coworkers ask, “what was that like? !” when I tell them I was raised here betrays Tijuana’s lasting reputation. Talking about places like Pasaje Rodríguez—an alleyway between the (in)famous Avenida Revolución and neighboring Avenida Constitución—brings me that much more joy because it surprises people. Once mostly abandoned, the alley now hosts art galleries, hair salons, microbreweries, bookstores, and fashion boutiques owned and operated by middle-class locals. Such a place—walkable, outdoors, clean, safe, interesting, just… pleasant—was almost unheard of when I was growing up. Now places like this are popping up everywhere; some people are even starting to say the old phrase backwards: "the best part of San Diego is Tijuana." 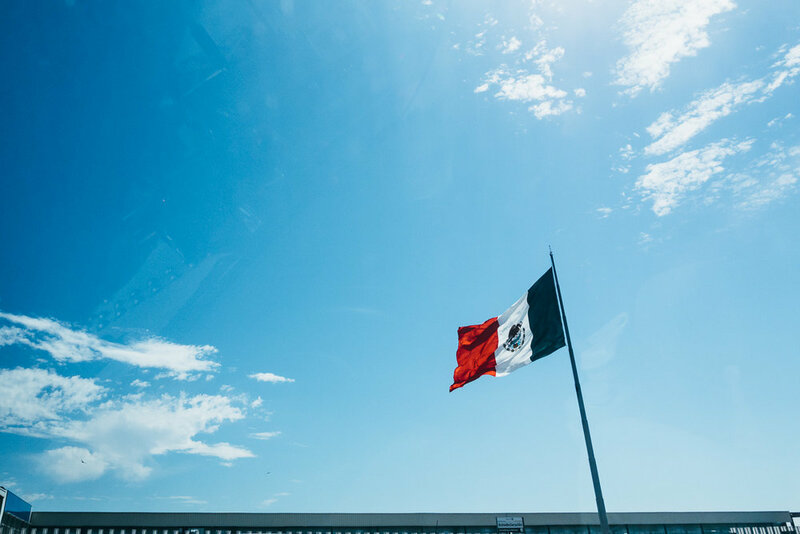 Make no mistake: Tijuana still has a long way to go, and its reinvention has not been victimless. Like in so many cities trying to clean up their image—and (hopefully, eventually) their act—human rights organizations here have accused the authorities of sweeping the city’s poor under the proverbial rug. More specifically, police have moved homeless folks and squatters towards the outskirts of town, away from the (now) attractive center. Growing investment in infrastructure and security have improved the lives of many. Gentrification has uprooted the lives of many, many others. How the authorities and civil society support those displaced by Tijuana’s reimagining will be a test of just how much this city is able—or willing—to break with the patterns of its past. I walk down the streets where I used to catch smoke-spewing, rattling city buses on the way home from school, and see more signs of change: the city is building a new public transportation system to ease traffic congestion and pollution. Gone will be the days when thousands of people a day had to make an average of two bus transfers to get to their destinations. I turn a corner and the smell of vehicle exhaust is suddenly replaced by the aroma of freshly made tortillas, grilled beef, and pork on a spitfire. One thing that hasn’t changed too much in Tijuana, thankfully, is the quality of food. I have always maintained that Tijuana has the best food in the world. The world finally took notice back in 2012 when Anthony Bourdain filmed an episode here. Perhaps it’s the result of all the years Tijuana served as a destination for people from all over Mexico trying (and often failing) to cross into the United States. More than anywhere else in the world, Tijuana has an astounding variety of authentic regional Mexican cuisine from around the country. 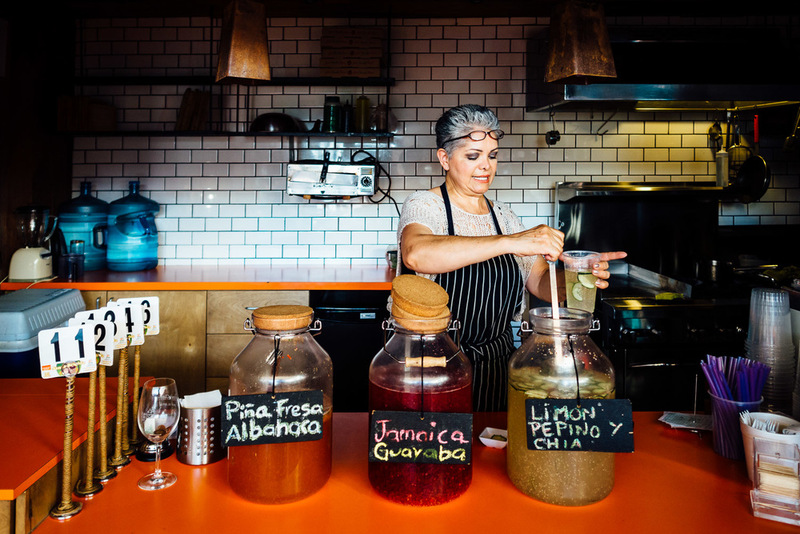 From the valleys of central Mexico, to the coasts of Oaxaca, to the jungles of the Yucatán peninsula, to Tijuana’s own culinary heritage, you can taste almost all of Mexico’s flavors here. The Culinary Art School (founded in 2003), and the resurgence of the nearby Valle de Guadalupe wine-country have also contributed to the growing number of more eclectic—some might say more sophisticated—dining options. But in my opinion, you can't beat good, old-fashioned tacos—the ones you eat on the street, standing up. My theory* has always been that stiff culinary competition has honed the skills of Tijuana's chefs and cooks to a razor-sharp edge. The decades-long influx and outflow of migrants made for a large population with few opportunities, and limited education for formal employment. What many of these migrants did know, however, were the flavors from back home; and they knew their fellow transplants longed for something familiar—something that made them feel at home in this town that nobody was from. Lots of people had the same idea, and the competition was fierce. The only vendors who have survived over the years are the ones who serve the best Mexico has to offer. *Please note: my theories on the reasons for Tijuana's culinary prowess have not been subjected to scientific verification. The sun sets on the beaches where I played as a child, and that I took for granted as a teenager. Nostalgia seeps into my veins again; I’ll be leaving soon, and I’m not sure when I’ll be back. More importantly, I’m not sure how much more Tijuana will have changed by the time I do. As I walk back to my car, I notice two surfers heading home after an early evening set; this is another group of Tijuanenses who have taken greater ownership of their city. Many of the surfers here have organized, or joined civil society organizations to raise awareness about littering, plan community beach cleanups, and pressure local authorities to improve wastewater treatment operations. Like many residents, they’re starting to think about how to make sure their kids can enjoy these beaches—and this city—as much as they have, or perhaps as much as they wish they’d had. They think this way because these Tijuanenses aren’t going anywhere; this is their home.